Dr. Jun Li, a distinguished scientist at the Cooperative Institute of Meteorological Satellite Studies, University of Wisconsin—Madison, led a study to answer these questions. The findings were recently published in Atmospheric and Oceanic Science Letters. Satellites are expensive to develop, build, and launch, due to the complexity of the systems involved. "We are talking about hundreds of millions to billions of US dollars", says Dr. Li. "It is impossible to quickly build another satellite to replace the faulty one if anything goes wrong in space or during the launch." 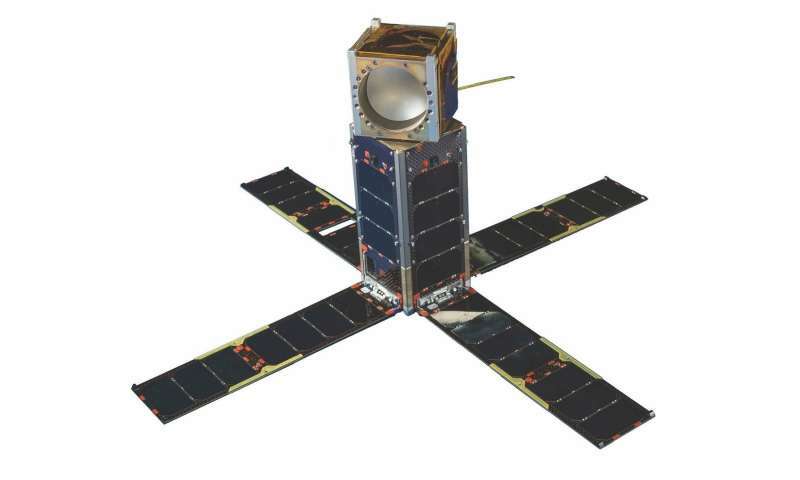 Li and his team used a so-called 'observing system simulation experiment' to study the potential of two types of remote sensing technologies using CubeSats—the Micro-sized Microwave Atmospheric Satellite-2 (MicroMAS-2) and the CubeSat Infrared Atmospheric Sounder (CIRAS), with costs measured in millions of US dollars, far fewer than those needed to replace a traditional satellite—to mitigate the data gap (should one occur) of the Advanced Technology Microwave Sounder (ATMS) and the Cross-track Infrared Sounder (CrIS), onboard the Suomi NPP and the Joint Polar Satellite System satellites. The results showed that a single CubeSat was able to provide added value in terms of the forecasting of local severe storms, and more CubeSats with increased data coverage yielded larger additional positive impacts, indicating that CubeSats may be used to mitigate data gaps left by the loss of traditional weather satellites.